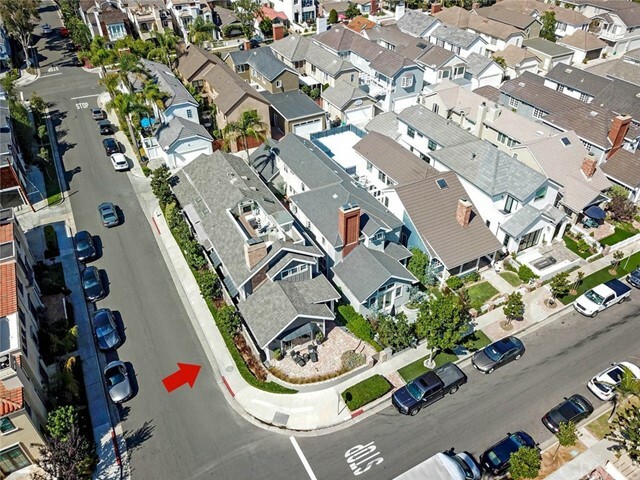 Situated on south-side of PCH, in the heart of Corona del Mar Village, 501 Dahlia is a picturesque & impressive home on coveted corner lot. 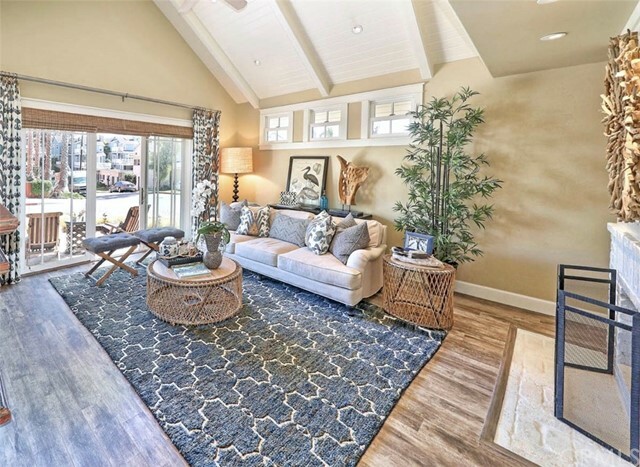 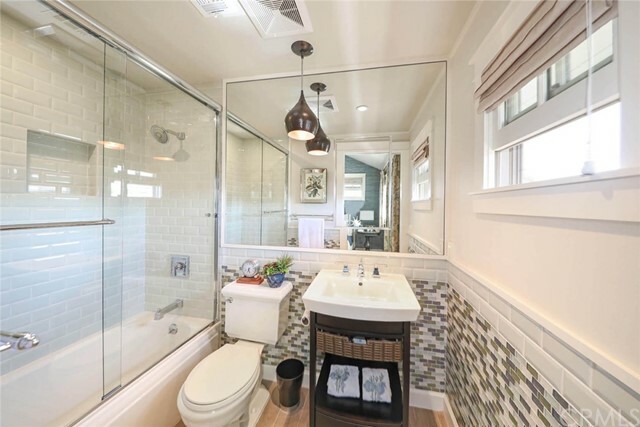 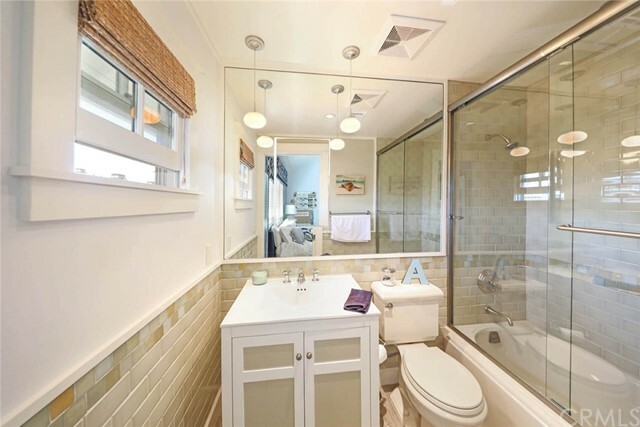 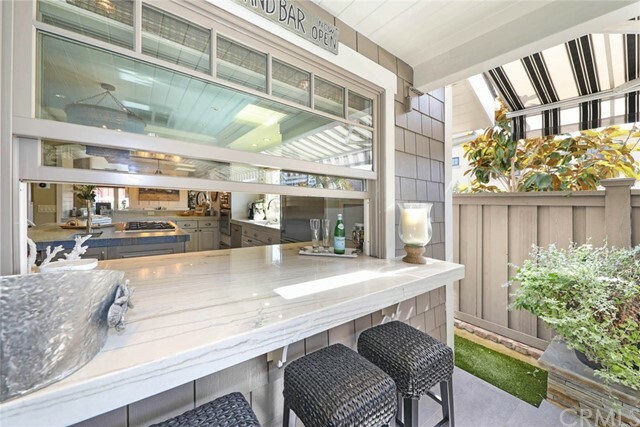 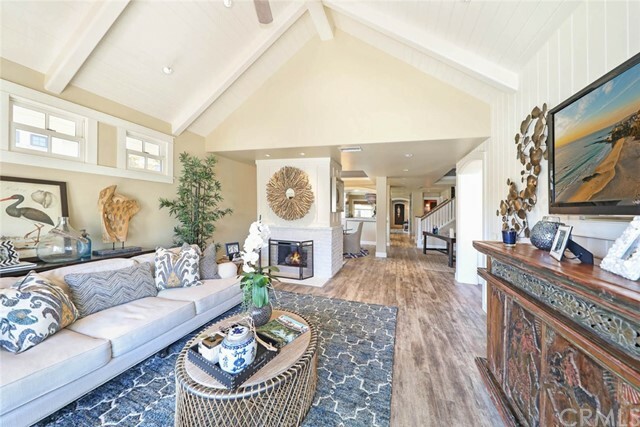 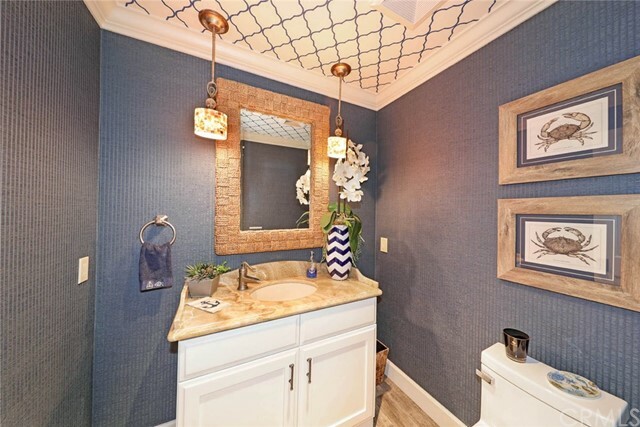 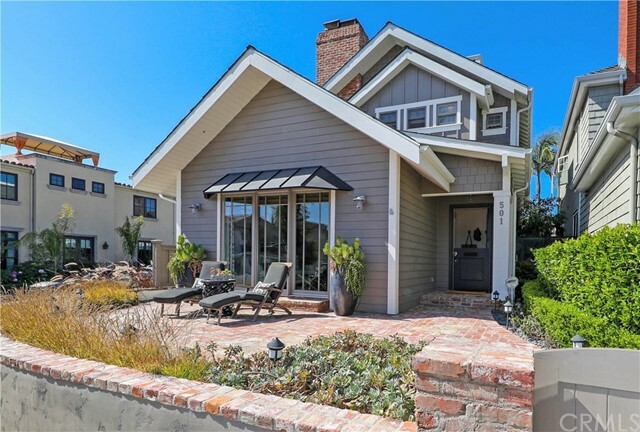 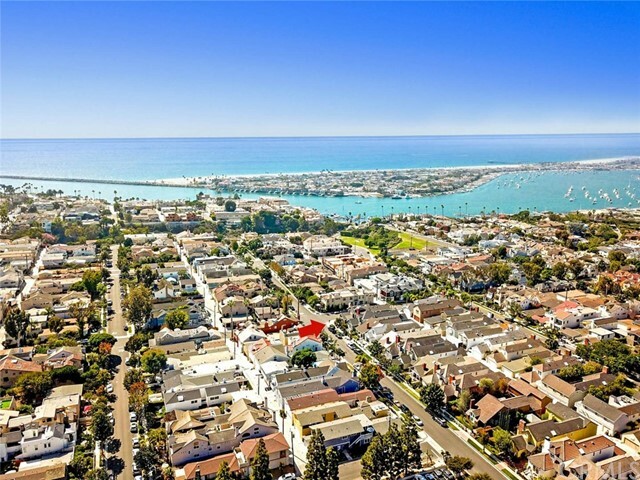 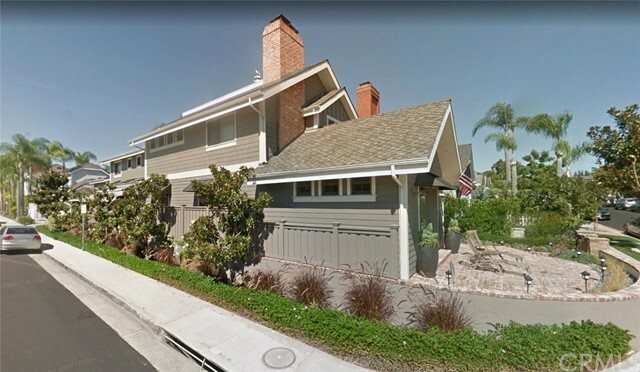 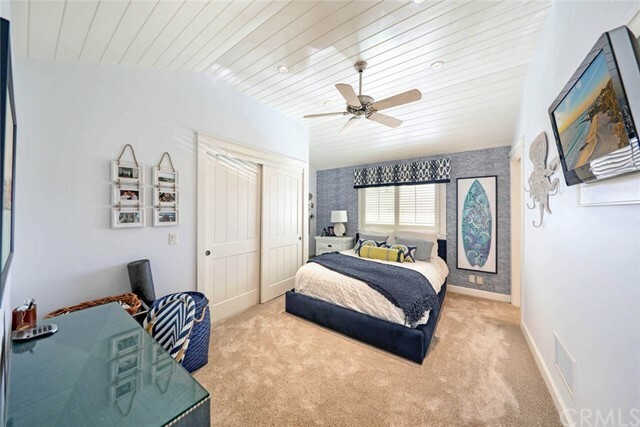 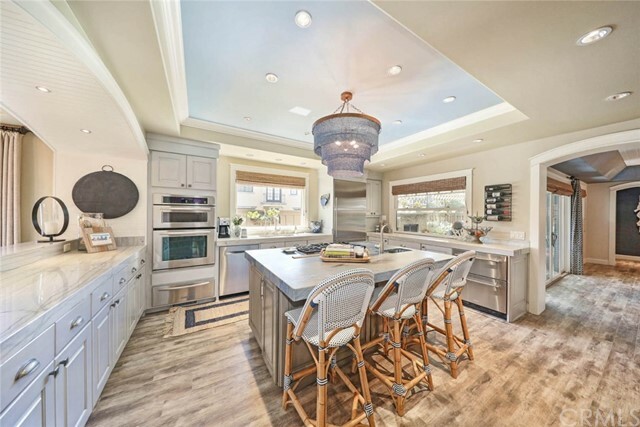 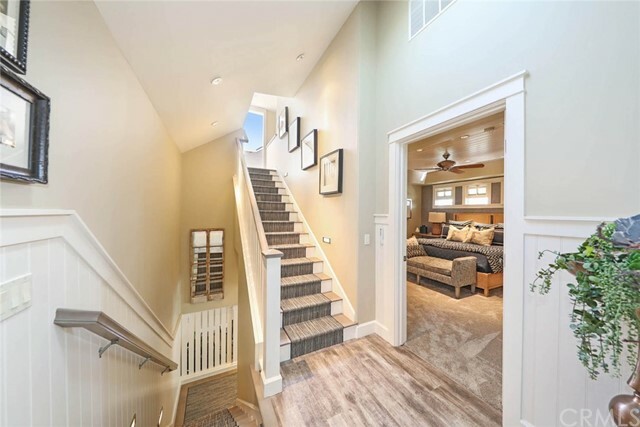 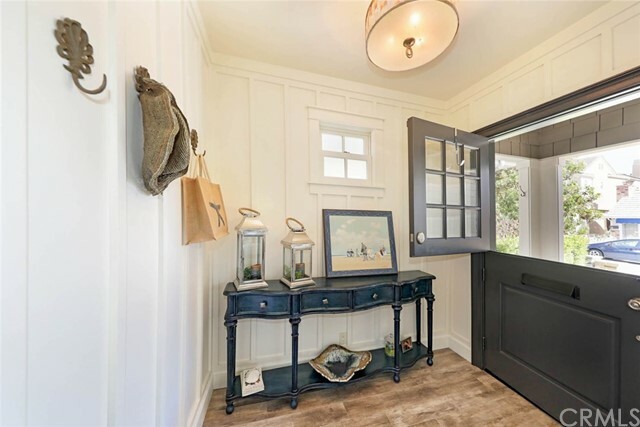 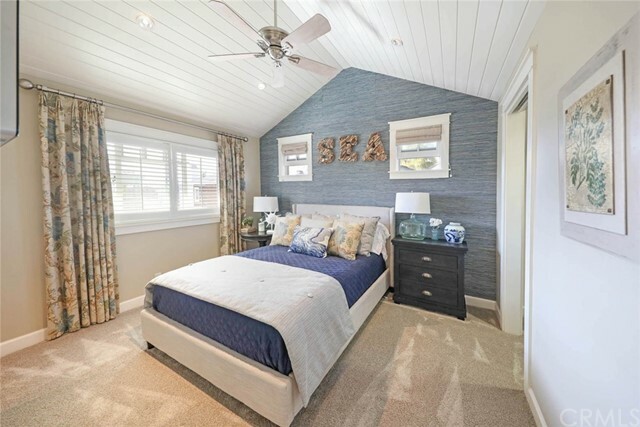 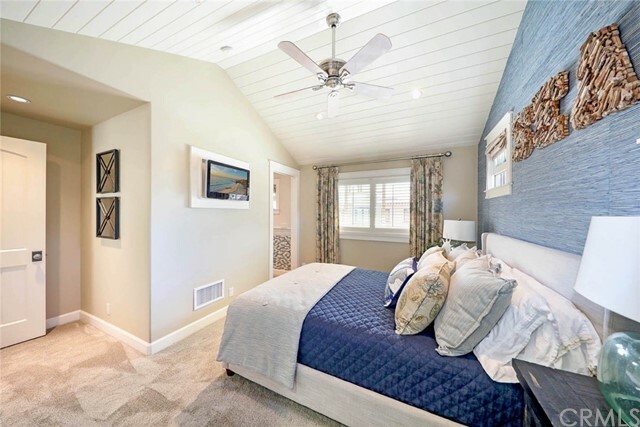 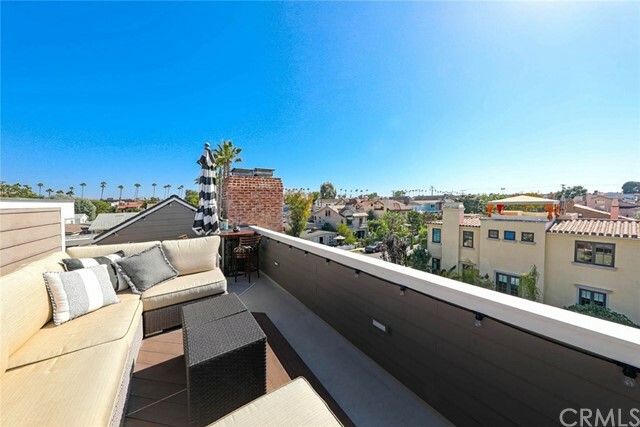 Offering 3 bdrms, 3.5 baths, and exquisite custom detail throughout, this stunning coastal design has been extensively remodeled & upgraded to appeal to the most discriminating buyer. 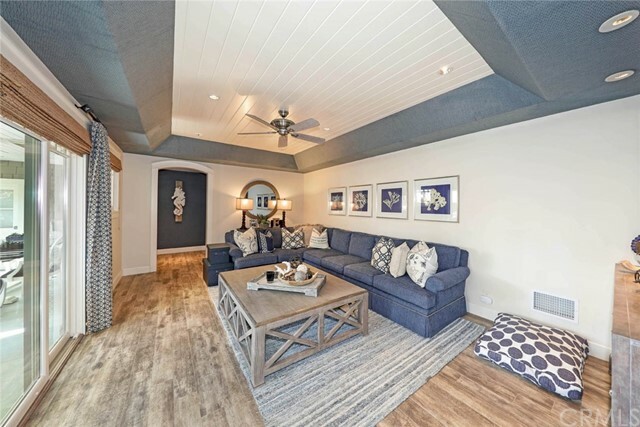 The expansive 1st floor offers a living room with custom millwork, dual sided brick fireplace, dining room, sitting room, and relaxing family room. 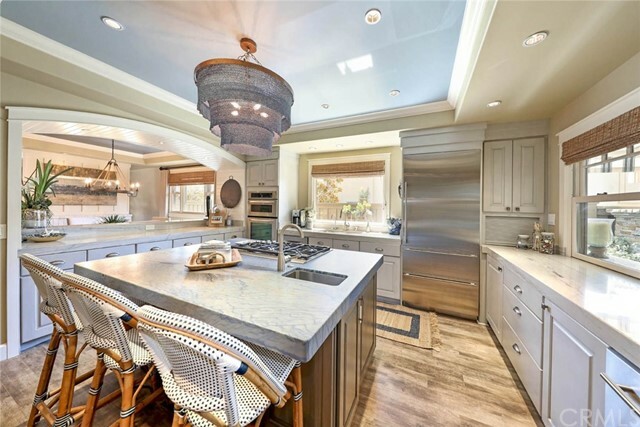 An open kitchen reveals a large island, elegant quartzite countertops, premium appliances including SubZero refrigerator, beverage drawers, oven, warming drawer & much more! 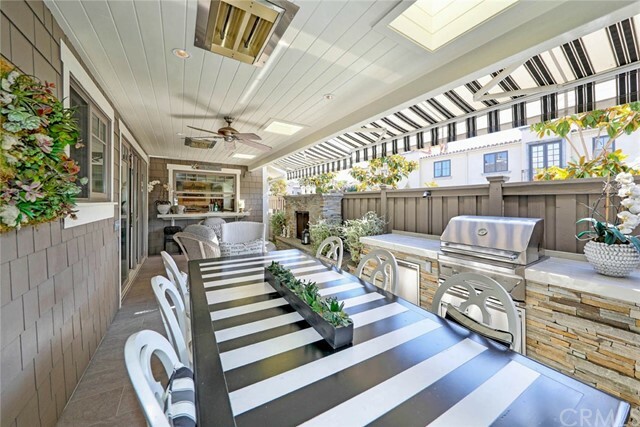 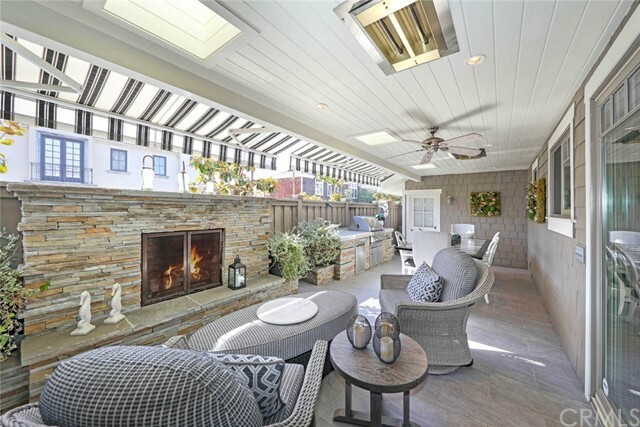 A sunny private courtyard includes stone floors, fireplace, retractable awnings, built-in BBQ/counters & ceiling heaters. 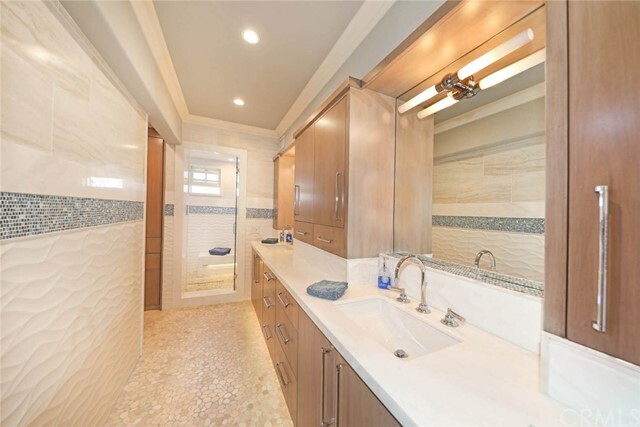 The 2nd floor includes a distinctive master suite and spa-like bath with custom walk-in steamshower system featuring aromatherapy & triple shower heads, custom cabinetry, designer finishes & cozy retreat featuring a spectacular Agate fireplace. 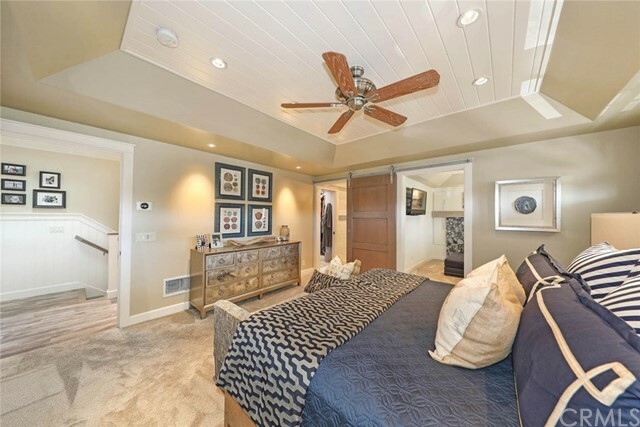 Two additional guest suites with custom baths, and upstairs laundry complete the second floor. 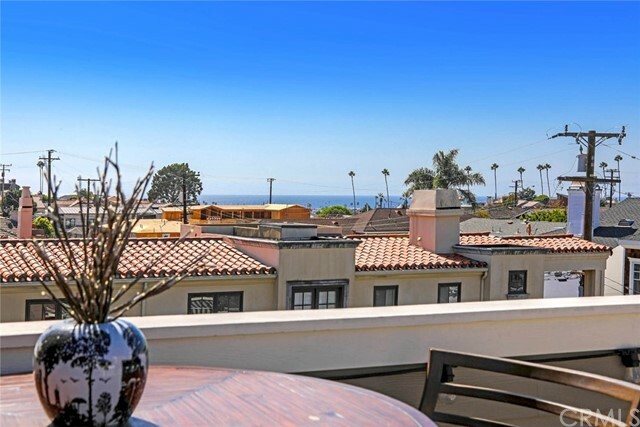 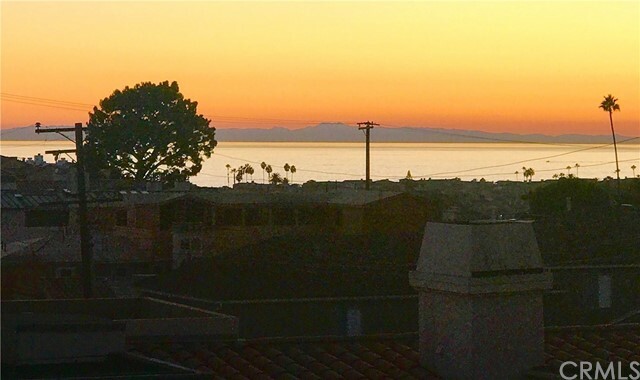 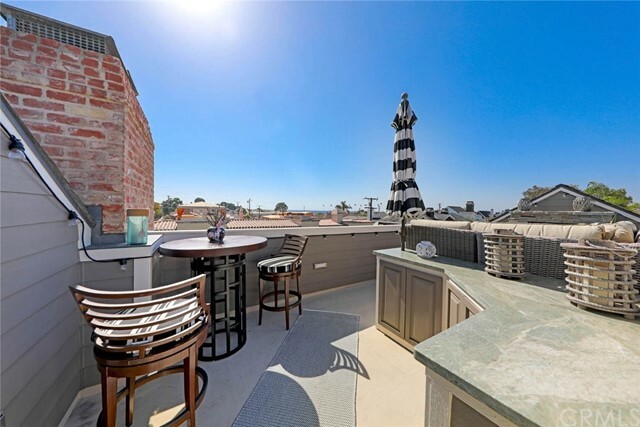 Relax on the roof–top deck with stone fireplace, built-in cabinets/bar area & enjoy captivating views of the ocean, sunsets and Catalina Island. 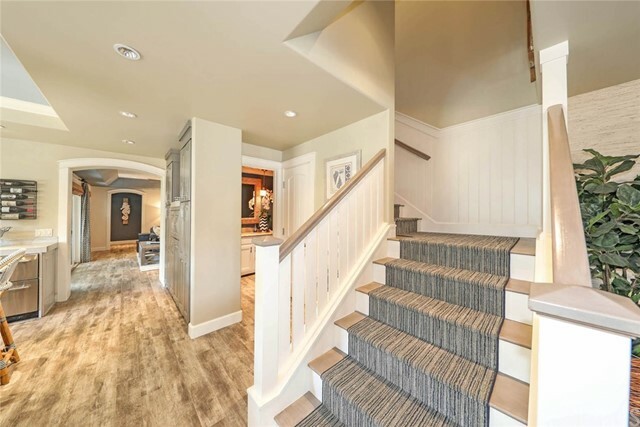 Roomy 2-car garage has custom expansive attic storage system, built-in cabinets, epoxy floor & sink. 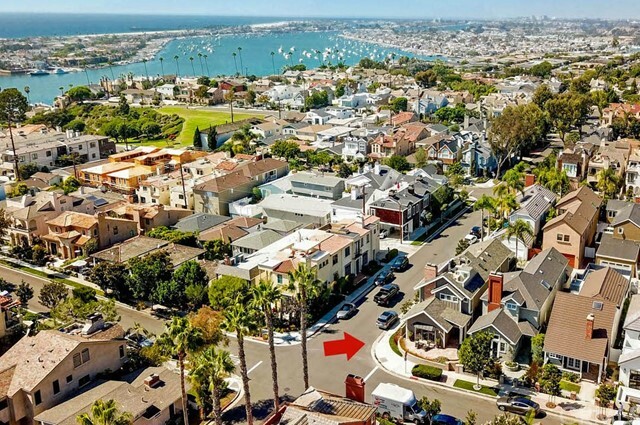 There is even a pre-designed area for a future elevator! 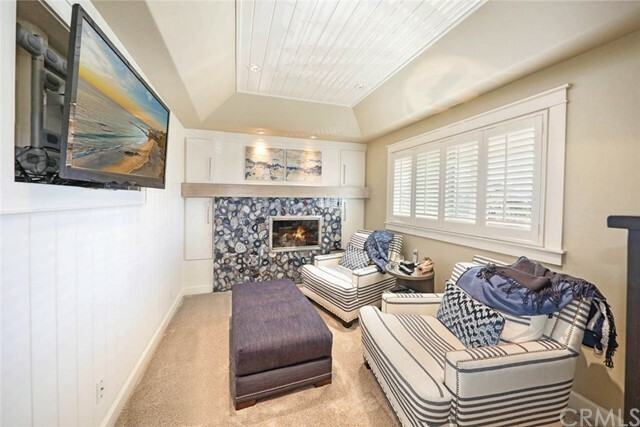 This remarkable home is located near world class beaches, shopping and restaurants.